Cycling is regarded as one of the most daredevil sports in the Olympics; riding carbon chariots that can accelerate at unthinkable speeds powered by immense lower body strength, and without much in the way of protection should you take a tumble. It all makes for a very dangerous sport. When you watch road racing, you’ll notice the incredible speeds that the riders can reach and the complex manoeuvres they attempt to ride in each other’s slipstreams or simply position themselves to reduce a heavy crosswind. The sport is a fantastic example of team work, and strategy. In cycling all out power does not mean always winning the race, because the sport is about endurance and mustering up the strength when you need it the most. At the Stockholm Olympics in 1912 the longest ever cycling road race was held, stretching for a colossal 320km and lasting more than 10 hours. Like most sports, cycling is about having the lightest, most efficient bike. In the Olympics there are both road and track disciplines, so the bikes do vary between the two forms. However, both styles are incredibly lightweight and built for speed, with every part possible made aerodynamic and able to glide seamlessly through the air. The riders even wear specially designed helmets that allow the cyclist to cut through the air in an attempt to conserve energy for those all out sprints. Diet is one of the most important aspects when we talk about transforming an everyday person into an Olympian, and cyclists have a very interesting diet. Whilst they require a larger muscle mass to power those long rides and create incredible torque when required, they do need to stay light. Given that cycling usually involves trimming weight from every part of the bicycle, the same usually applies to the rider. It has been quoted that Chris Hoy eats around 6000 calories a day though, so they definitely don’t starve themselves. 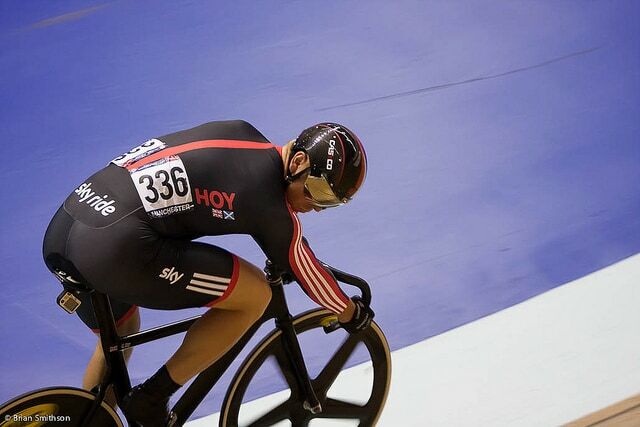 If you want to end up with ‘Golden Thighs’ like Chris Hoy, you need to train hard and eat a balanced diet. Due to the training intensity, food is very important in keeping your body topped up and ready to go for the next time you hit the gym, the road or the track. Eat lots of complex carbohydrates. Intake a large amount of water to compensate for the long training sessions. Salt is very important when carving up lots of mile on a bike. One of the most time intense sports that you can train for due to the long races is road cycling. This is mainly due to the incredible length of the races, which based on the 2012 Olympics can be around six hours. If you look at the leaderboard for the 2012 Olympics you can see how close the race really is, which is why Olympians need to train so hard to gain increased performance out of nowhere in order to achieve a few extra seconds lead. But shall we talk about the training plan of one of the greatest Olympic cyclists ever? Chris Hoy has a long list of victories, holding a total of seven Olympic medals, with six golds and one silver. We found this great article on Outdoor Fitness Mag, which has a few great examples of the training that a cyclist will do. In our last article on rowing we noticed that they did a huge amount of weight training in tandem with getting out on the water, and it is interesting that cycling follows a few similar elements. In cycling, competitors will often train for long periods of time to increase their endurance, whilst throwing the occasional power training set into the mix to build torque when it’s required. The type of cycling discipline can also change the style of training, because a 200m track sprint will involve more explosive power than a six hour road race. Plenty of rest with a long cool down after heavy training sessions. Try to get out on the road instead of training on the bike. Data is key to ensuring you can work on any particular area that needs improvement. Hydration is essential due to the long periods of time your body is experiencing stress. Core work is key to building up stability and the ability to climb faster. Laura Trott has acquired a modest twenty-five medals throughout her career, including two gold medals at her home Olympics, London 2012. With 21 of these medals being gold, she is certainly someone to keep an eye on and will make a fantastic Olympic Speaker for your event. Want to find out more about Laura Trott? View her Olympic speaker profile here. Chris Froome has worn more yellow jerseys than many professional cyclists, having won the gruelling Tour de France twice. Before the Olympic speaker became an established cyclist in his own right, he shared the limelight with Sir Bradley Wiggins, hitting the big time when they came second and first respectively for Team Sky in the 2012 Tour de France. If you are looking for an Olympic Speaker with roots in cycling, we think Jason is a fantastic Olympian to consider. With several victories including a silver and gold in the 2008 Beijing Olympics, he pursues victory and has the Olympians mind set for never backing down from a challenge, which is why he later won two gold medals at the 2012 London Olympics. 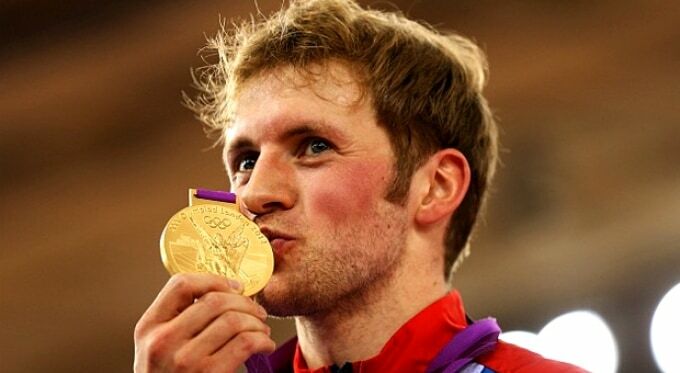 You can view the rest of Jason Kenny’s profile here. Lizzie Armitstead is an Olympic speaker and professional track and road racing cycling champion, she has too many wins to list simply in this quick summary, but her highlights include a silver at the 2012 Olympic Games and a gold medal during the Commonwealth Games in 2014. You can view her profile here on Olympic Speakers. Olympic speaker Sir Chris Hoy MBE is the most successful competitor that the Olympic Games has ever seen and the most successful Olympic male cyclist of all time. He is an eleven time world track champion with seven Olympic medals, and also owning his own brand of bikes named “HOY”, he is one of the most passionate cyclists to ever compete in the great sport. Why does an Olympic cyclist make for a great speaker? Olympic cyclists put everything on the line to save seconds, pushing themselves through the long climbs and bracing for the steep declines. They can speak about a great variety of topics, and have some incredible stories to tell. There you have it, everything you need to know about becoming an Olympic athlete with a few of our favourite moments, quotes and most sought-after speakers thrown into the mix. In the lead up to the Rio Olympics we do hope you have enjoyed this article, and please stay tuned for more sports related articles as well as the latest Olympic news. To book an Olympic Cyclist for your next corporate event or conference, simply contact the Champions Olympic Speakers agency via our online contact form. Alternatively, call a booking agent directly on +44 1509 85 29 27 for any additional information.